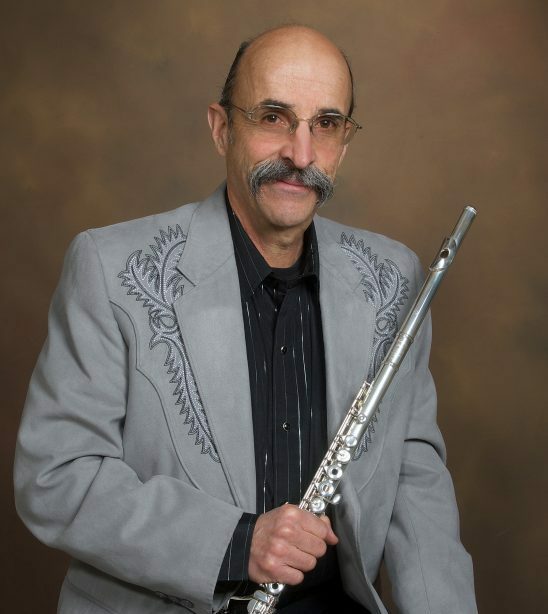 John Barcellona is Professor of Flute and Director of Woodwind Studies at California State University Long Beach, teaches doctoral students at Claremont Graduate University and is flutist with the internationally acclaimed Westwood Wind Quintet (recordings on Columbia, Crystal and WIM labels). The Quintet has recently recorded the 24 complete wind quintets by Anton Reicha – a 12 CD set on Crystal. He recorded a CD of Chrisopher Caliendo’s trio music with the Caliendo Trio: Christopher Caliendo-guitar and Ian Flatt-cello. An active freelance musician in southern California, he has played Principal Flute with the Pacific Symphony and many international ballet companies. His solo album, Is this the way to Carnegie Hall? (with Calvin Smith – horn) was nominated to the National Academy of Recording Arts and Sciences for a Grammy award. John is a former member of the Moyse Duo with pianist, Louis Moyse. He has been a Muramatsu Performing Artist for over 25 years. He has written a regular column in Flute Talk magazine entitled, “The Flute Doctor”. This is the first time the magazine has run a complete flute pedagogy series of articles. John has taught and performed in many music festivals, including the Rio International Cello Encounter in Brazil and the Fairbanks Summer Arts Festival for the past 28 years. John Barcellona received his Bachelor of Music from the Hartt School of Music, Master of Arts from California State University Long Beach, and Doctor of Musical Arts from the University of Southern California.